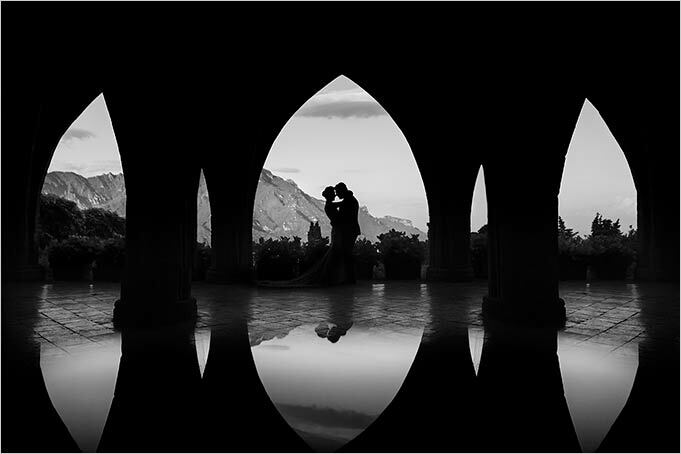 Like true fairytales, bride and groom lived happily ever after. 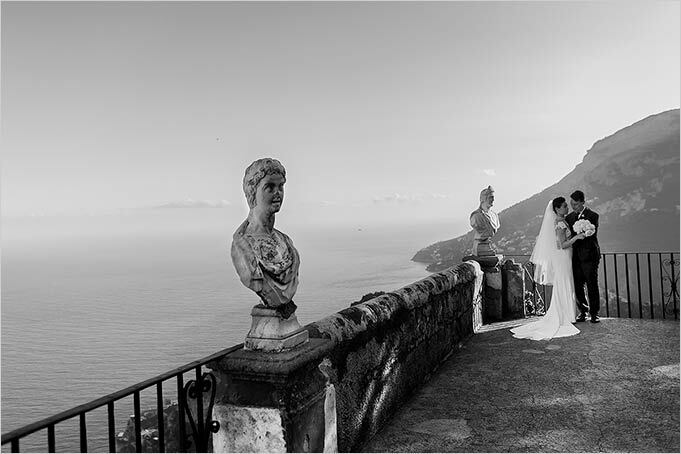 They got married on Amalfi Coast and such a beauty could not disappoint these two lovers! Philippe and Klarisse met on an unlikely circumstance; had either change anything about their day, their paths would not have crossed. No mutual friends, no mutual colleagues nor acquaintances. It was a flight to Moscow their story began at 37000 ft high, as the two were not looking for love but merely the curiosity and common interest began a never ending exchange of conversation. Klarisse who was always in high spirits must of made a lasting impression on Philippe who decided to keep in touch in case they find themselves in the same city again as they really enjoyed each others company. After three months of exchanging emails and their individual travels schedules which were always conflicting, both finally found a weekend together in Dubai and the rest is history. 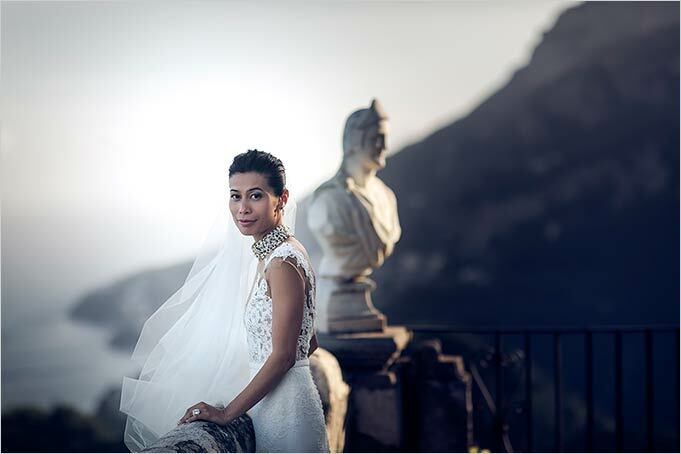 Klarisse had accompanied Philippe on his work trip to Paris then to Italy in which Philippe secretly planned a trip to Capri where Klarisse had always wanted to go. Coming off the plane they were escorted to a helicopter that Philippe managed to convince her it was part of the business trip. Ever so gullible Klarisse was amazed that all the excitement overcame any questions in her mind. 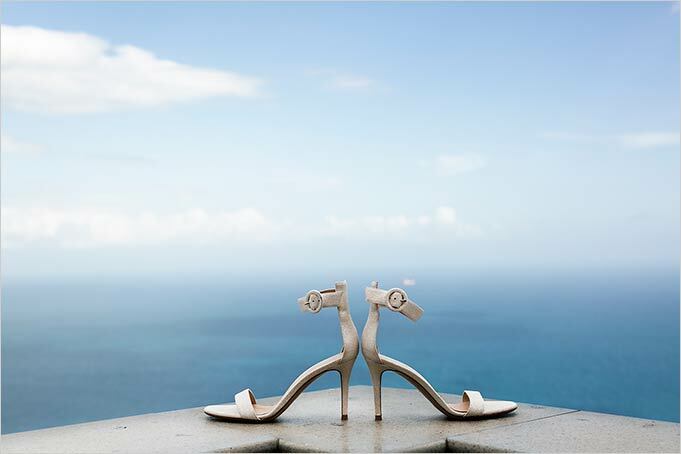 She didn’t know they were headed for Capri. 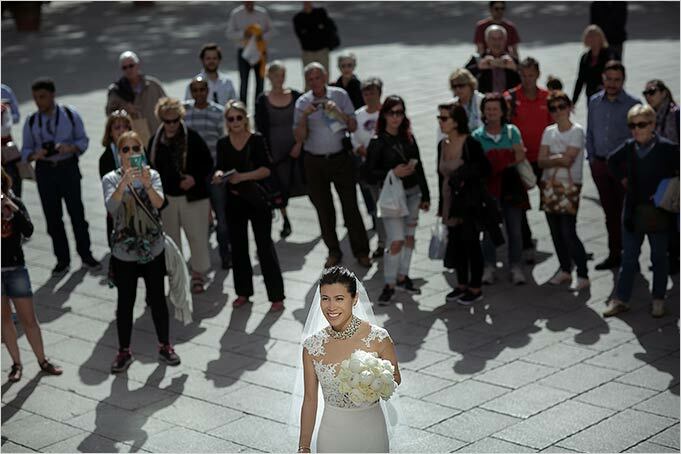 Soon after Klarisse discovered that Philippe had surprised her for their anniversary. Philippe reserved a wonderful small restaurant where they had abundance of white truffles and delicious Amalfi Coast delicacies. Philippe had waited until they were the only two left in the restaurant and he nervously proposed. Without hesitation Klarisse lost of words happily accepted. 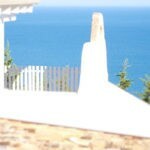 Capri instantly left a special mark in their hearts. 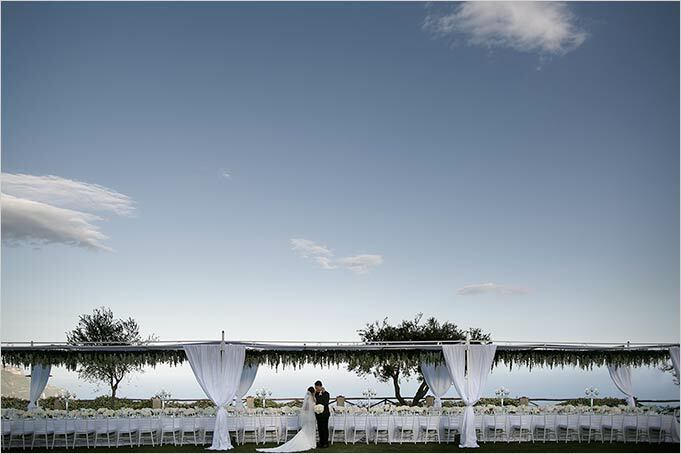 Selecting a destination wedding venue wasn’t so difficult. 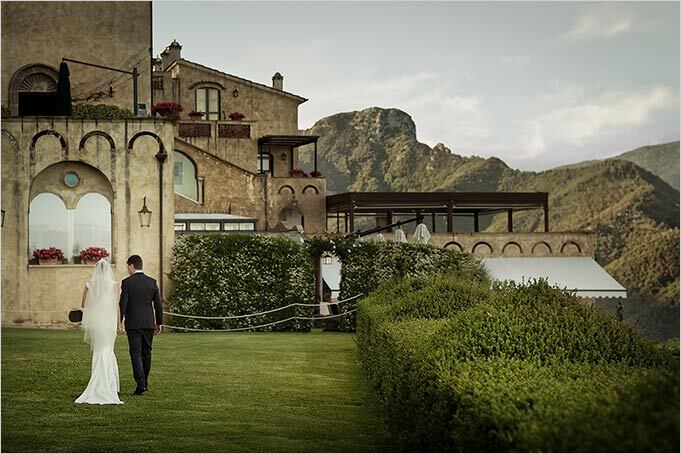 Italy became more than just a destination but a place where they felt was a symbol of their commitment. Wedding planning process was very detailed and organised. 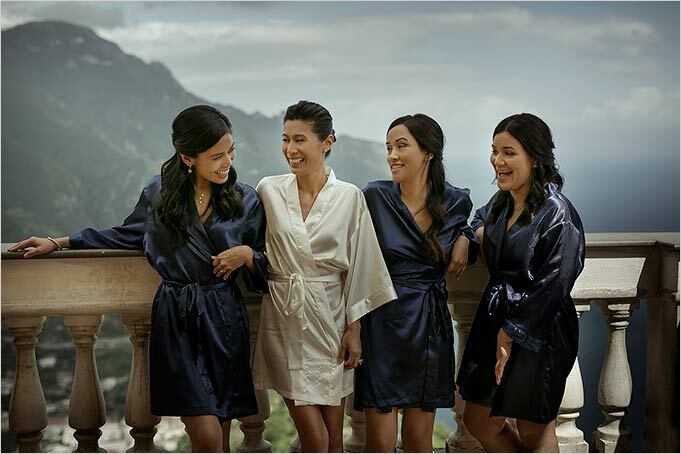 Not only did they focus on the wedding day but the everyday planning from the arrival of guests on the first day to the farewell brunch. 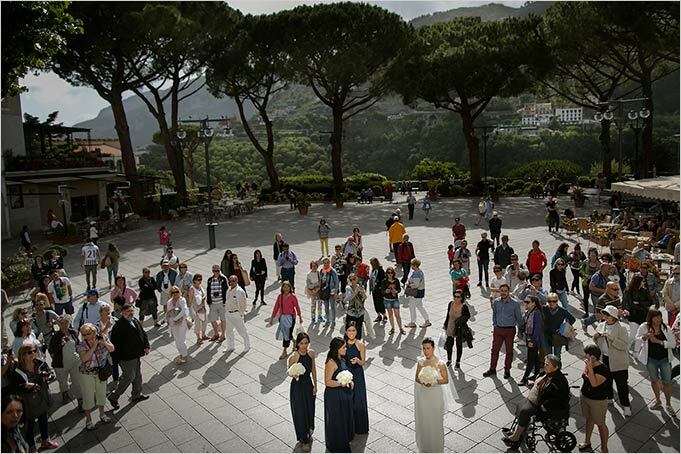 Meeting with the priest of Duomo of Ravello, florist Armando Malafronte, to the music director and seeing possible wedding venues of different events, wedding reception and hotel as well as food tasting were just some details that were organised during a visit to Ravello. 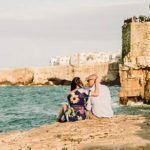 The amount of preparation between our agency, possible vendors, Philippe and Klarisse were mostly achieved via email and Skype and still amazed at how much were completed considering everything was done from afar. It wasn’t too long until the wedding day wait finally arrived. 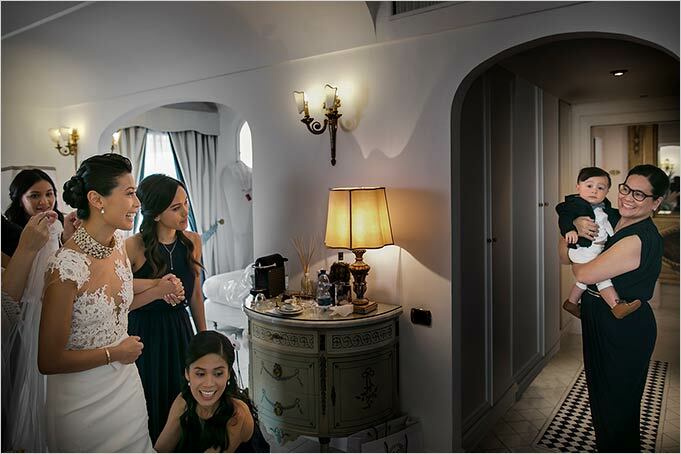 The air was fill with excitement and passion amongst the family and guests. 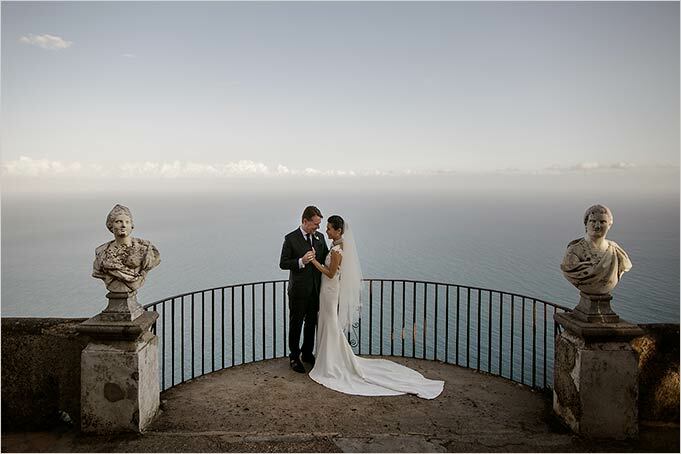 Whilst Ravello held its quaint and historic charm. 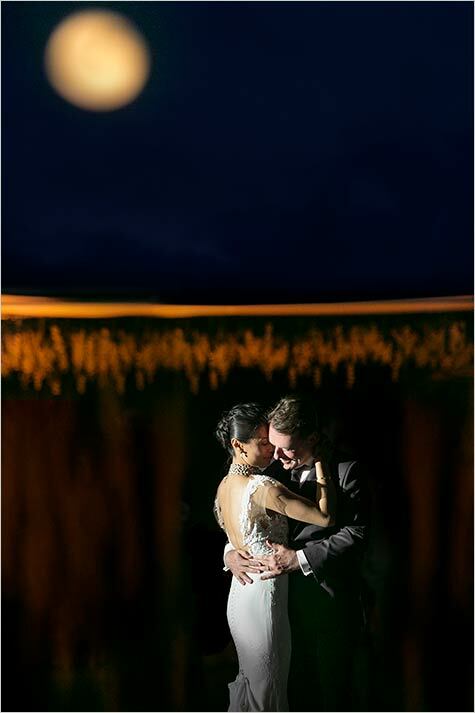 Guests flew in from different continents to shower Philippe and Klarisse with their love and support, the first evening held by the water front had everyone acquainted. 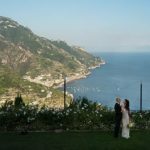 Wedding day on Amalfi Coast arrived, although nervous jitters felt during the preparation, the excitement of the wedding ceremony and the chance to exchange wedding vows in the presence of their baby boy was an incredible feeling! Not every child can say they to be present to see their parents get married. 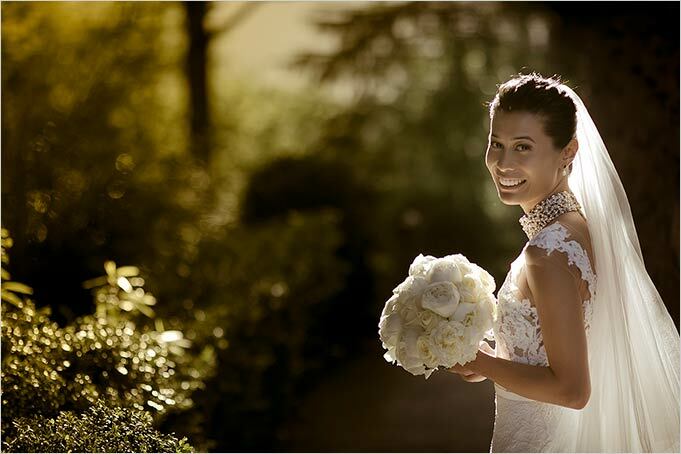 The wedding day was even more special as Klarisse and Philippe not only made a promise to each other but a commitment towards the little family they have made. 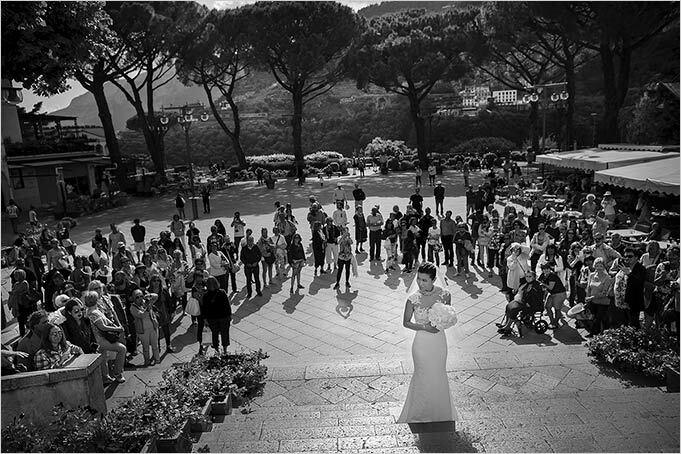 Walking into the Ravello plaza filled with tourist and locals sending their well wishes lifted them energy, but nothing prepared Klarisse walking down the aisle of the church to Philippe. 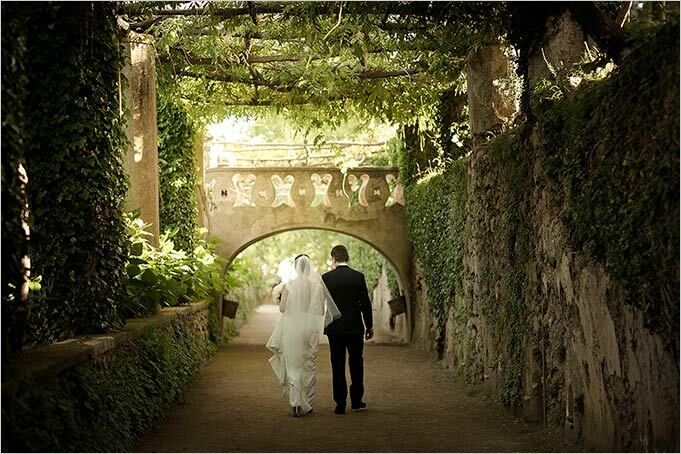 The moment walking down the aisle and modern take of Bach melody felt surreal. She was filled with overwhelming emotions as she locks eyes with Philippe, the time suddenly stood still and he was all she could see. 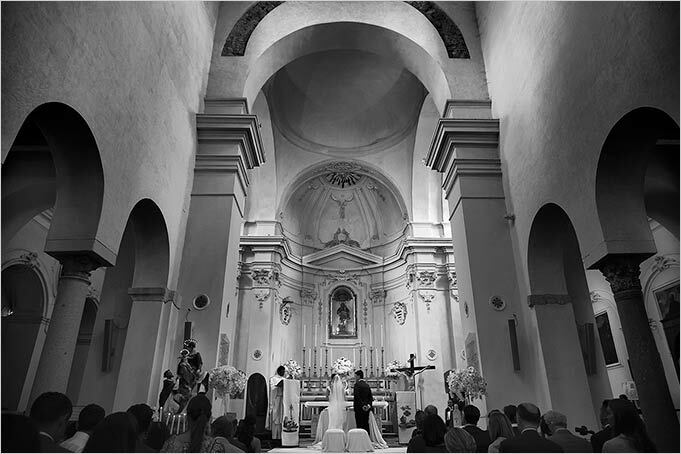 Duomo di Ravello on Amalfi Coast was beautifully decorated with stunning floral arrangements by Armando Malafronte that really captured Klarisse’s vision of the church and was complemented by the orchestra playing Philippe’s favorite beautiful classics. 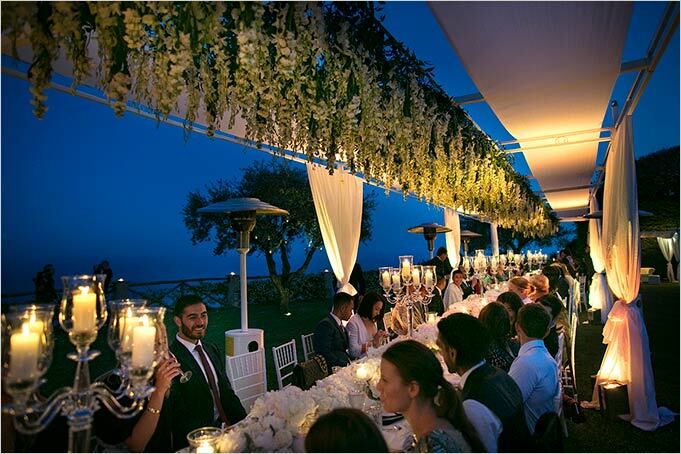 Aperitifs were enjoyed in Ravello gardens overlooking the Amalfi coastal line, the picturesque town located in the highlands held spectacular views and appreciation was shared amongst all the guests with the infamous harp player as background music. 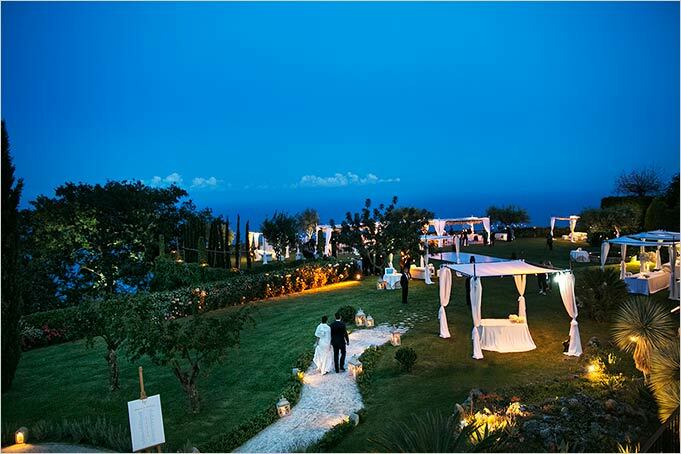 Wedding reception was held in Hotel Villa Cimbrone: an incredible venue. 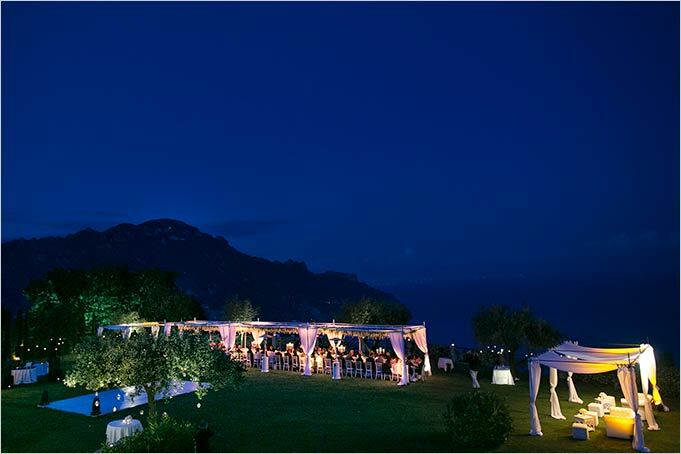 Candlelit lanterns paved its way into the garden balcony which had a view like no other and those who experience it can understand why Ravello on Amalfi Coast is so special. The view captured the coast and it was so breathtaking along side the strings band playing the background. 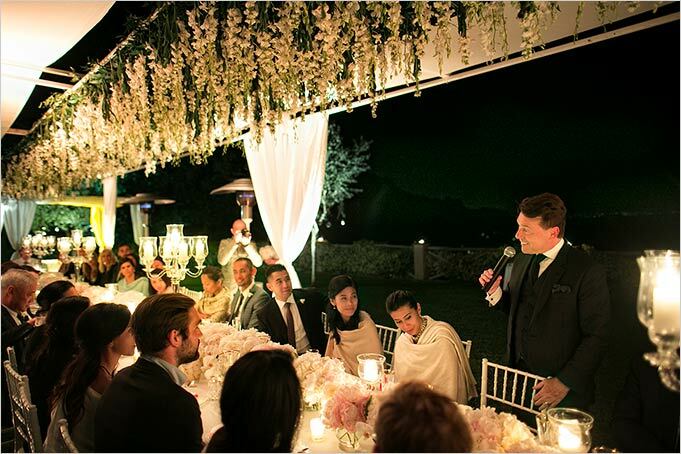 The hanging floral arrangement nestled above the long table with stunning floral decorations and very detailed tablescape had exceeded their expectations. 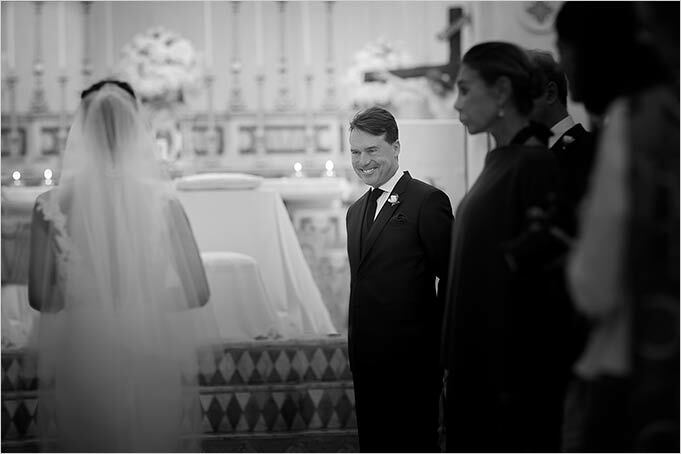 The wedding vibe was blissful and the amount of love shared by guests alongside the delivery of every wedding detail was beyond exception. 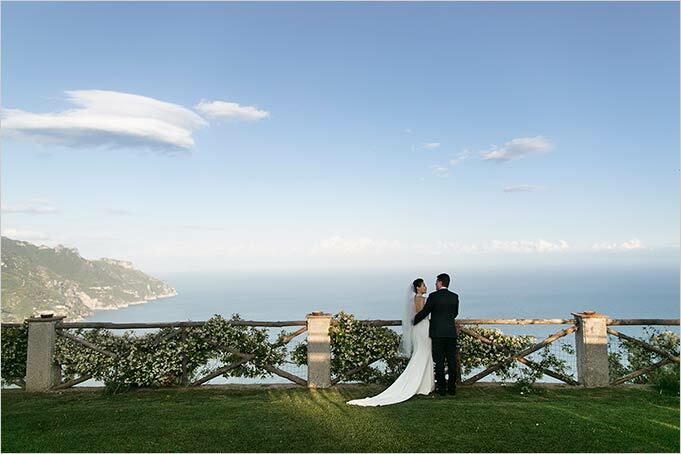 Villa Cimbrone, the astounding venue and unforgettable reception left a lasting impression. 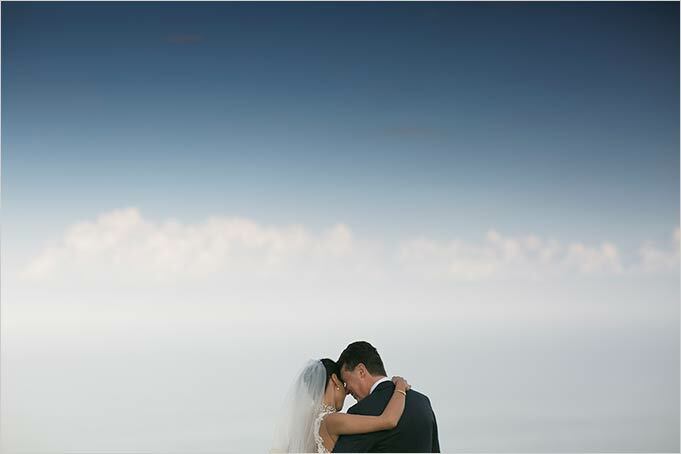 Philippe and Klarisse were lost in their emotions as their dream wedding became reality. The rustic wedding cake was enjoyed whilst the playing band created a warm and meaningful ambiance. 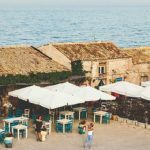 Although the weather was unusually cool, they were lucky to be provided with heaters and shoals amongst the table leaving closeness and comfort amongst the guest. 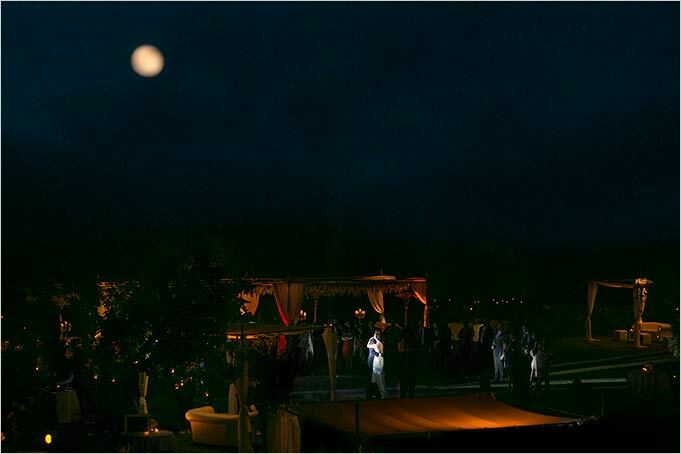 The night was danced away with a live saxophone artist giving the last good vibe to finish the wedding event. 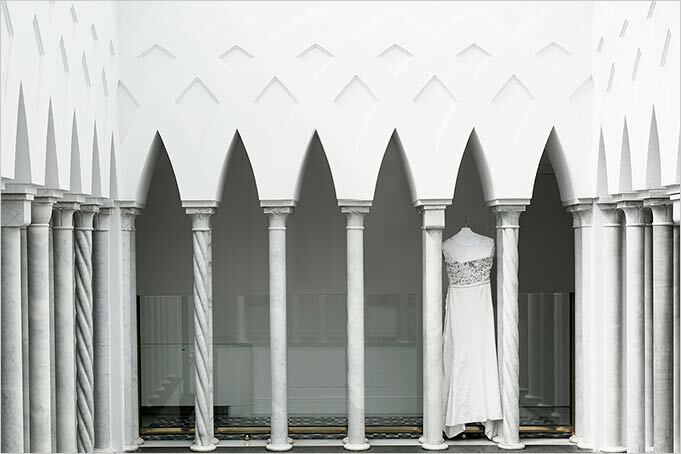 We wish to thank David Bastianoni for the beautiful pictures. 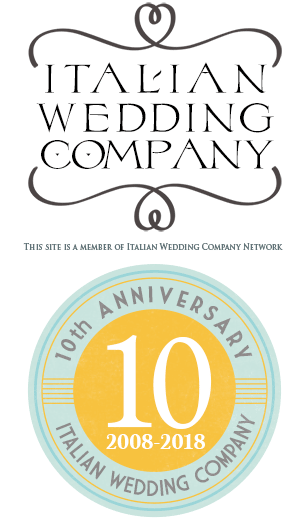 At last the wedding week continued. 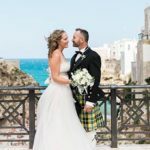 Stay tunes, we’ll tell you about their amazing rehearsal dinner organised in a perfect traditional Italian style and the goodbye party organised on a luxury terrace in Amalfi.